This development of ultra-contemporary homes form part of a brand new residential project of 29, 2 and 4 bedroom townhouses located on the New Golden Mile between Marbella and Estepona. The clever use of natural textures throughout adds to the high quality modern feel of the design. There is secure underground parking for two cars accessed by stairs from the terrace and the living area. On the second floor in two bedroom units there is a master bedroom with fitted wardrobes and en-suite, a further bedroom with fitted wardrobes and a family bathroom. Four bedroom townhouses feature is a bedroom on the first floor with doors leading out onto a further terrace, whilst up on the second floor there will be three spacious bedrooms including the master with stylish en-suite and a family bathroom. Perfect for a growing family, or as an investment for rentals. 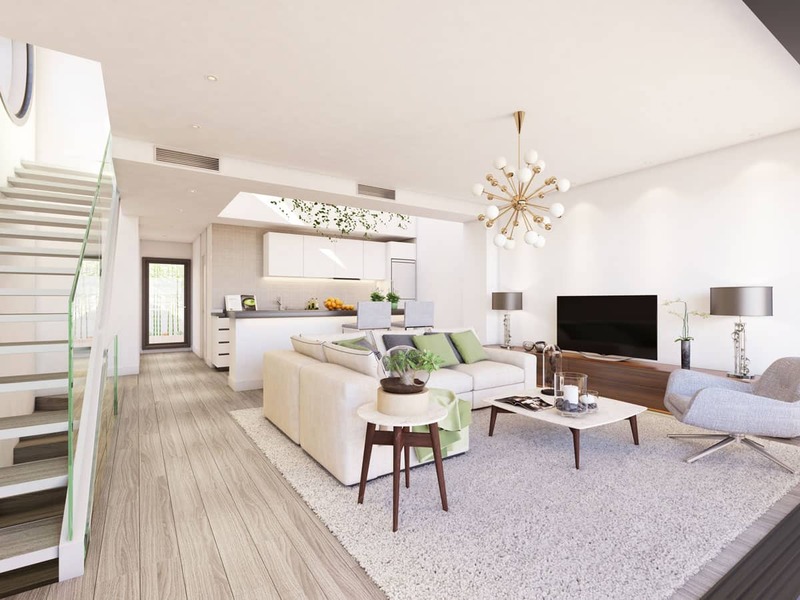 Owners of these stunning contemporary properties will also have access to an exclusive Resident's Club House offering an array of leisure facilities and other amenities, making these properties the ideal option for investors.